“Shallow Grave,” Black Label Society. 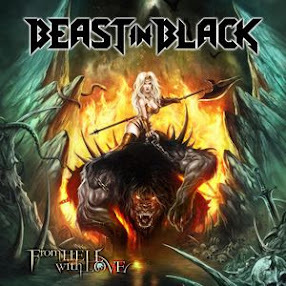 From the album Order of the Black (2010). One of several dark, melancholy ballads from Order of the Black, this tune gives Zakk Wylde a chance to sit down behind the piano. The buildup for the chorus is a little interesting, if a bit poppy. It’s not a track I return to often, though. “Love of God,” Saigon Kick. From the album Saigon Kick (1991). Saigon Kick is one of a handful of very underrated bands from the late 1980s/early 1990s. They got caught a bit in the glut and subsequent backlash against “hair metal,” but had so much more to offer. In this tune, for example, you can hear 1980s hard rock, alternative rock and even some progressive leanings. “Sammy and Tex,” Savatage. From the album Streets (1991). One of the heavier tracks from Savatage’s concept album masterpiece, this song tells of a disastrous meeting between the story’s main character, D.T. Jesus, and a drug dealer to whom he owes money. Jon Oliva gives a nicely snarling performance. “Unfit for Human Consumption,” Carcass. From the album Surgical Steel (2013). I’m picky when it comes to extreme metal, and I was taken by surprise by Surgical Steel. Like much of the record, this tune falls more into the thrash category with its maniacal riffing and … gasp … melody.